Matcha is a traditional Japanese tea made from stone ground tencha leaves. Tencha leaves have a very unique growing process, which includes protecting them from light during the last few weeks before harvest. This preserves the smooth, rich flavour of the leaves and encourages maximum formation of antioxidants, amino acids and chlorophyll. 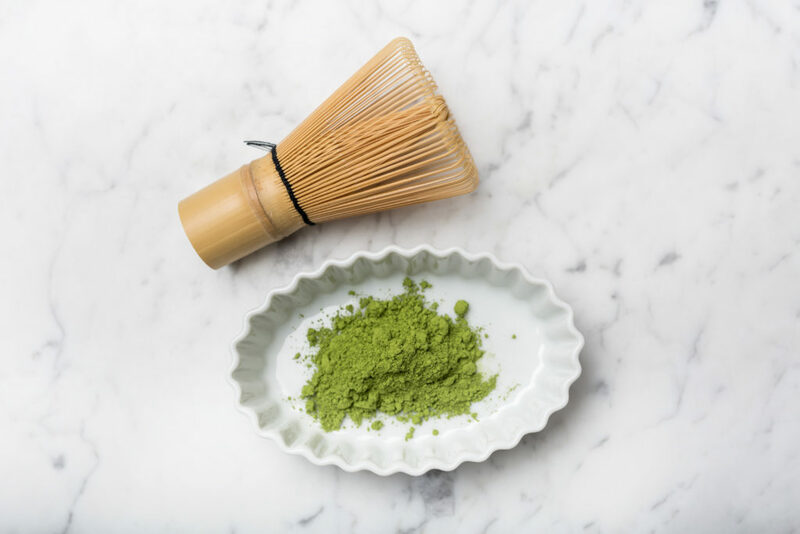 High-grade, traditional matcha - such as TruOrganic Matcha - is made from tencha leaves that are harvested by hand, dried, and stone ground into a vibrant, emerald-green powder. High quality matcha will have a smooth and slightly sweet taste due to high levels of amino acids, and L-Theanine, which flourish when the leaves are shaded from the sun during the final weeks before harvest. The brighter the matcha, the better! 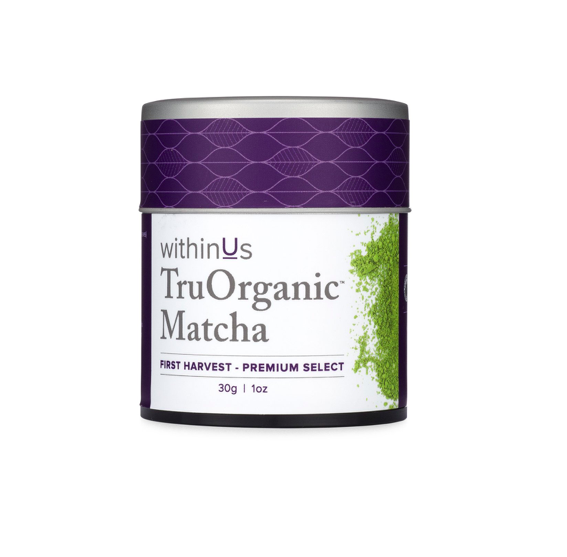 TruOrganic Matcha is bright and emerald-green in appearance – this means it contains more chlorophyll thanks to specialized growing techniques. When making a bowl of high quality matcha, a micro layer of foam should form on the top. With lower quality matcha, large air bubbles will form, or there may be no bubbles after whisking. High quality matcha originates in Japan. Japanese tea culture dates back to the 12th century - since then, tea planting and harvesting traditions have been specialized and perfected. 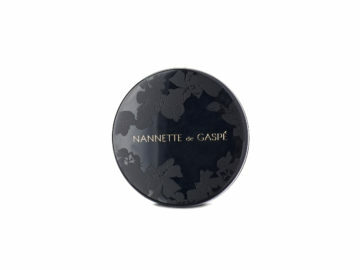 Antioxidants are substances that protect the body from damage caused by free radicals. We are exposed to free radicals every day, either as the by-products of normal processes within the body, or through external sources such as pollution. While completely normal, free radicals cause cell damage when they appear in excess, something that antioxidants prevent. Antioxidants are commonly found in fresh fruits and vegetables, but this doesn’t mean that all sources are created equal. Matcha has 5 times the amount of antioxidants of any other plant-based source! EGCG is part of a class of antioxidants known as catechins. EGCG has been of much interest to the scientific community lately, as studies have emerged suggesting that regular consumption may lower the risk of cancer, help to prevent heart disease, and provide metabolic health benefits. 60% of the catechins in matcha are EGCG, making it a wonderful source of this amazing compound. EGCG has been shown to support joint health, as it reduces inflammation and prevents the breakdown of cartilage in the joints. The presence of one specific amino acid – L-Theanine – is why matcha is so effective at boosting energy and mood levels. 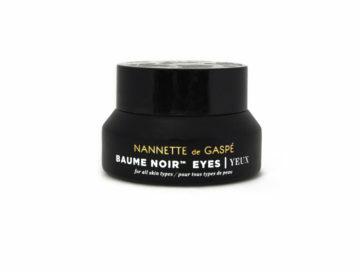 When L-Theanine is combined with the natural caffeine in the tea, it metabolizes more slowly, releasing the natural caffeine over a longer period of time and providing a stable three to six hour long energy boost (versus coffee caffeine at an hour to an hour and a half). In addition to providing energy, L-Theanine helps boost memory and concentration by causing an increase in the production of dopamine and serotonin. 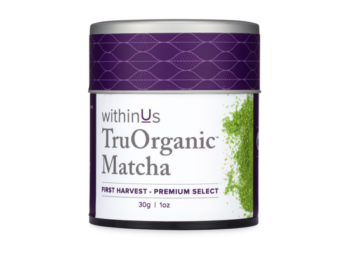 TruOrganic Matcha is a Premium Select Grade blend, exclusively created for us! Our matcha is from one of Japan’s oldest and most highly acclaimed tencha growing regions. The leaves are handpicked and prepared using traditional methods, this guarantees the highest nutritional value along with a smooth, delicate taste, free from grit and bitterness. Japanese tea experts monitor the size and shape of the leaves and use perfected methods of roasting and blending to ensure a truly superior matcha. Our matcha contains absolutely no additives, sweeteners or fillers, and is expertly tested at every stage of production. The tencha leaves used in TruOrganic Matcha are premium grade and come from the first harvest of the year. First harvest leaves range in grade from premium through to D, with premium leaves being considered the best of the best. Premium leaves have the highest quality of aroma and flavour due to the abundance of nutrients. ‘First flush’ leaves are subject to cooler temperatures during their growing season, and thus grow gradually, allowing the nutrients to fully develop. TruOrganic Matcha holds JAS/JONA certificates through the Japan Organic and Natural Foods Association, as well as USDA and Canadian Organic Certificates. This level of quality is rare and limited. Unlike organic fruits and vegetables, organic matcha is extremely difficult and time consuming to produce. Not only must the matcha meet strict quality standards, but it must also meet all requirements for the 3 major Japanese organic regulating bodies. Our matcha is grown without the use of fertilizers, nitrogen or chemicals, and is routinely tested for purity. The soil in which the plants are grown is also subject to frequent testing, ensuring that there are no contaminants (lead/fluoride) in the product.